During the summer, musically inclined students can take guitar, or song-writing classes during the annual Festival of the Arts at this university in Spearfish, SD. Nearby Badlands National Park provides a wealth of outdoor activities. What is a typical Black Hills State University student like? Describe the type of person that should attend Black Hills State University. What are the top 3 reasons someone should attend Black Hills State University? What was a typical Black Hills State University student like in high school? Describe the type of person that should attend Black Hills State University. Black Hills State University, nestled in the Black Hills of western South Dakota, offers a myriad of opportunities for you. With a choice of more than 80 majors and minors for bachelor's degrees as well as three master's degrees and a number of associate degrees and pre-professional programs, you have a variety of choices for your future. Our faculty are known for their dedication and commitment to students. Students benefit from our smaller campus as they become involved in the more than 76 student organizations, hands-on undergraduate research projects and meaningful internships. People continue to be drawn to this area due to the exceptional quality of life offered by our location in the Black Hills of South Dakota. BHSU takes an active role in the many exciting initiatives in this region including innovative changes in education, the development of a world-class science lab, and emerging technology-related business enterprises. What are the top 3 things that students do for fun at Black Hills State University? The average student pays $12,085 for tuition, fees, and other expenses, after grants and scholarships. Total stated tuition is $3,993, in-state and on-campus, before financial aid. Learn more about financial aid at http://www.bhsu.edu/admissions/payforcollege/financialaid/tabid/590/default.aspx. Estimate the net price for you at http://www.bhsu.edu/desktopmodules/npc/npcalc.htm. Black Hills State University participates in the NAIA Division II for college athletics. 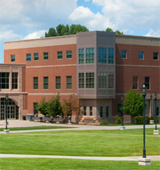 Want more info about Black Hills State University? Get free advice from education experts and Noodle community members. When is graduation for 2015? Here's a link to the Spring 2015 Academic Calendar. It looks like the Commencement Ceremony is scheduled for Saturday, May 5.